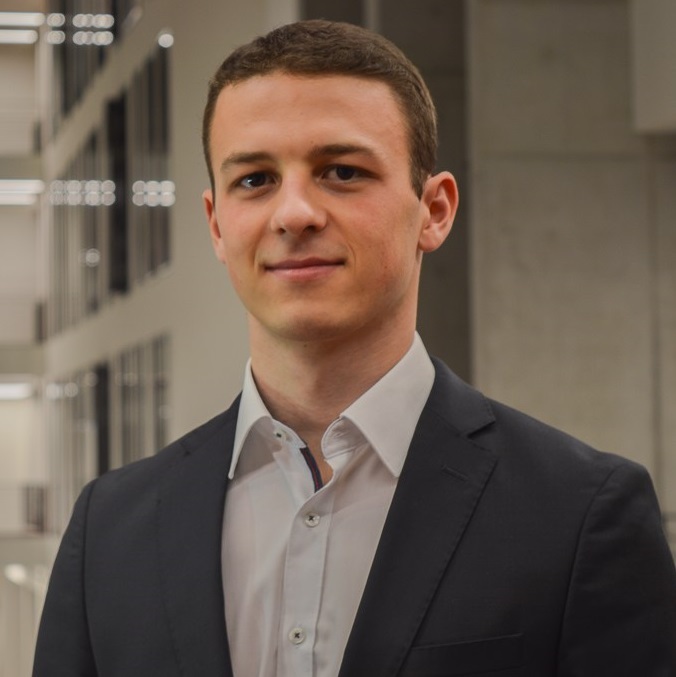 Max is Master of Finance student at Frankfurt School and is working as a working student in a restructuring consulting company. They are currently investigating the possibilities to use technologies like the blockchain technology to automatically keep numbers in reports up to date and to have a continuously updated picture of a firms financial positions, which is highly important within the critical phase in which companies fight against bankruptcy. 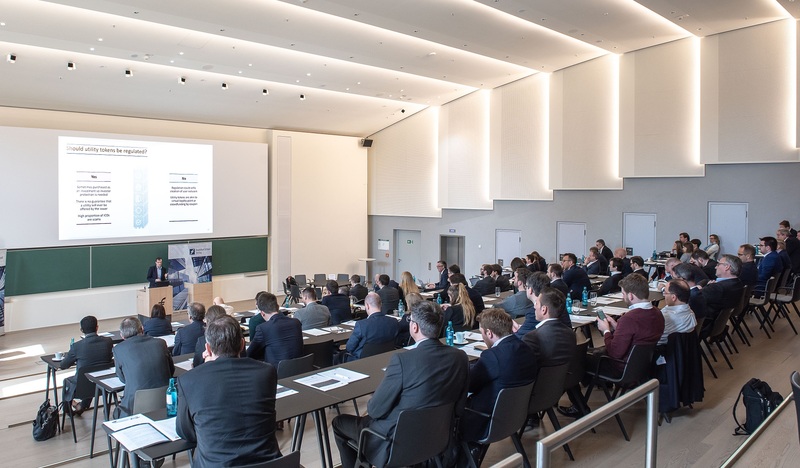 On the 28th of March 2019, the Frankfurt School Verlag hosted the third Blockchain-Technology Conference. Various speakers ranging from established large banks, to the current research at the German Fraunhofer Institute and the Frankfurt School Blockchain Center aswell as Fintechs and supporting banks like the solaris bank AG participated and shared their knowledge with the conference participants. Each speaker outlined the approaches and usecases for the technology in his or her company. The focus of the discussions was thereby on financial applications, financial institutions and on consulting in the financial sector in general. One important conclusion was that most applications of the technology happen right now within the companies and are thereby lacking many of the important benefits of the blockchain technology. Blockchain technology is supposed to establish trust within a decentralized network of people or machines in markets in which there is a lack of trust. With hashes it ensures that no data can be changed after a transaction, or at least that attempts to change the chain can not happen without everyone in the system getting notified. Security and trust are established because every participant can retrace every transaction and check the underlying (in most cases open source) code of the network. However as long as Blockchain technology is only used within already secure company networks, the benefits of adding trust, of having a decentralized network etc. are not used, which in many cases makes other technologies which are less energy consuming more favorable to use. This main finding at the same time defines the large challenges of the technology for the future. How can industry standards be defined? How can we ensure compatibility of the different individually designed systems? How can we combine the different players to enable the real but still very much hidden benefits of blockchain technology? With regard to questions like these, the conference was also holding round tables on which all participants where able to discuss their ideas, approaches and potential solutions. In deep discussions on predefined topics, the conference participants profited from the broad range and vast experience of the other conference participants. The conference concluded with an outlook of potential future developments presented by Prof. Dr. Phillip Sandner, Head of the Frankfurt School Blockchain Center. He explained that almost every financial asset can be tokenized and then potentially be traded on a transparent blockchain based platform. With very low costs, almost immediate processing and confirmation of transactions. And that does not only work for common assets like shares, bond-securities or currencies but also for real estate, cars or human capital. As a brief summary the conference was a kickoff to a new treatment of blockchain. The pure hype of the name blockchain is gone. The more interesting phase, the discussion about best practices, the technology itself and the search for relevant usecases has taken over.